It's the end of the Tetris Quilt-A-Long!!!! Time to finish those quilts up!! But before we get to that, Let's first announce a winner of the Week 6 giveaway who gets the Cherry Christmas Jelly Roll. 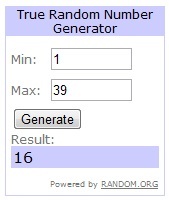 And Mr Random Generator says the winner is . . .#16 - Lyndsey- Congrats! So now moving on and . 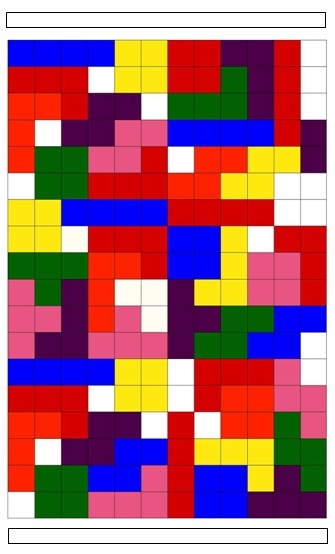 . .
Start by adding a thin border to the top and bottom of the quilt. (Maybe 1 1/2" to 2 1/2") I liked the idea of going with the white since those were my missing spots color. When I do borders I just use Width of Fabric strips and then trim the excess. Then add the same size to the left and right. Make sure to press these little borders nice and crisp or they will look a little wonky. Then you can add a thicker black border (3" to 4"). Once again, add the top and the bottom first and then after pressing add the left and right. And that's Idea 1. Idea 2 starts the same with a thin border on the top and bottom in white again. But, then you can change it up a bit. 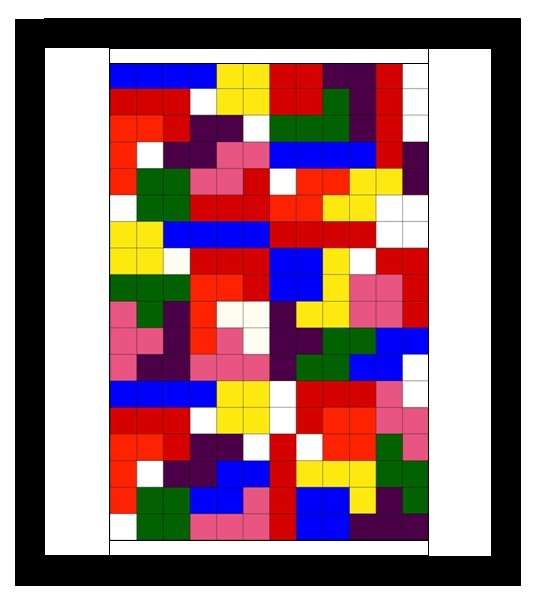 You can add a larger border to the left and right (8" - 9"). 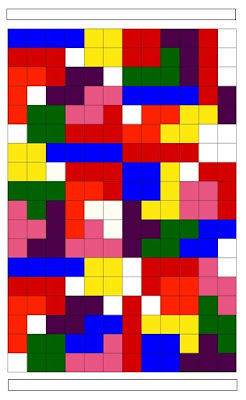 This will make your quilt a little more of a standard size quilt. 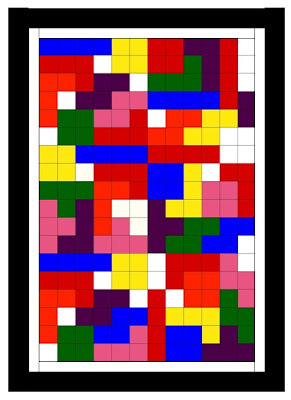 Then you can add the black border (3" - 4") to the top and the bottom and then to the left and the right just like you did in the first idea. And then your top is done!! 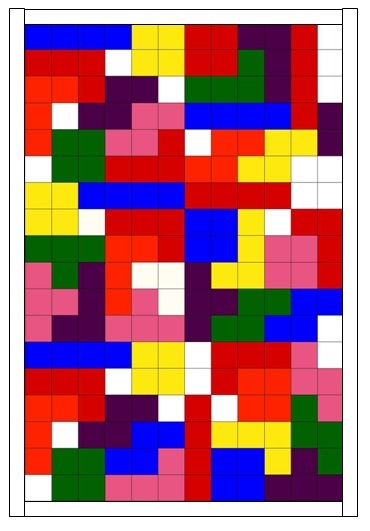 And then if you want you can get super creative like some of the amazing quilters in our group. Like the way Danielle added a large sashing to the right side and then added a "next piece" block to give it that Tetris look! Julie also added the side sashing but then she took it a step farther and added some extra white blocks to the top with a few extra pieces to make it look like you are ready to add the very next piece. So cute!!!! So to sum it up - however you want to finish your top is wonderful - the most important part is that you finish your top!!! 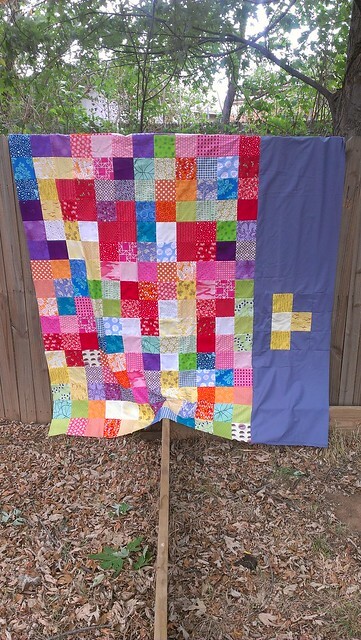 (the Quilt-A-Long Flickr Group has lots of great inspriation :) I am so excited to see everyone's creative take on their finish!! 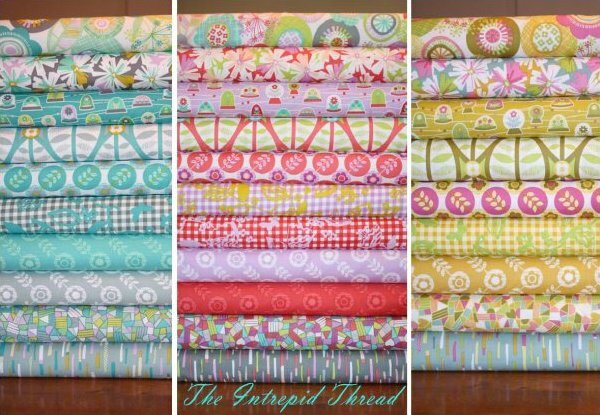 The Tetris Quilt-A-Long Grand Prizes are sponsored by the Intrepid Thread and a huge thanks goes to Julie for her support!!!. 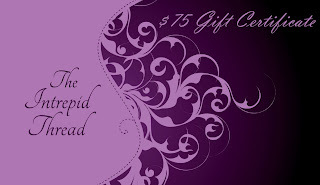 So, as a refresher, the Grand Prizes that you can win are. 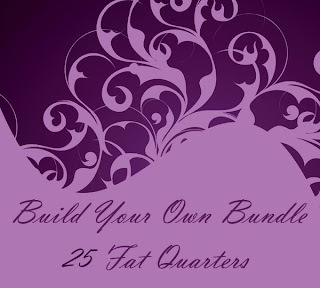 . .
Or a Complete Fat Quarter Bundle of La Dee Da by Erin McMorris!!! There will be 3 lucky Grand Prize winners. Their first will be allowed to choose their prize, and so on. And Don't forget to add your quilt top to the Happy Quilting Quilt-A-Long Flickr group!!! I am so excited to see everyone's Quilt Tops!!! 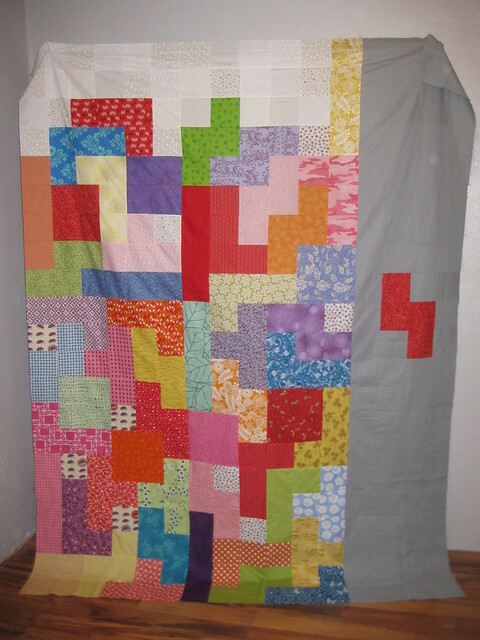 Now, you only have to have your quilt top done to enter into the grand prize link up . . . but I wanted to encourage you to finish these quilts and not set the quilt top in a pile of "to be quilted" so . . . 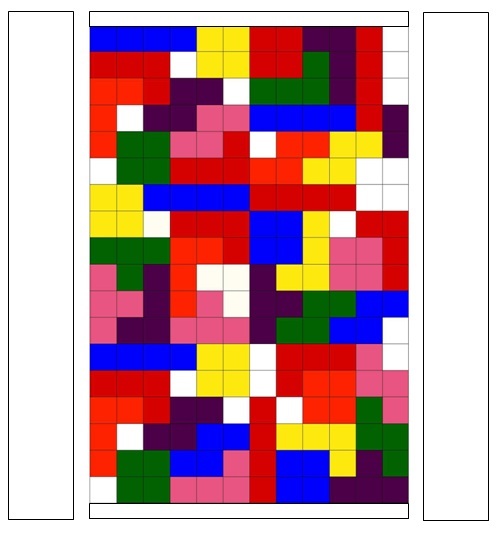 I am planning a little Parade for the 11th of September :) The parade will be for quilted and bound Tetris Quilts!! So, if you would like your quilt to be in the Parade, please send me an email (happyquiltingmelissa @ gmail . com) with your favorite Tetris Quilt picture attached as well as the name you would like your photo listed with, where you are from, and a blog or flickr link if applicable. You can email me anytime from now until the 10th and I will get you added to the Parade!!! I am so looking forward to September 11th!!! Grand Prize winners will be announced followed by an amazing parade filled with all of your beautiful quilts!!! So excited!! So now what do you do??? Finish up those quilt tops, Link them up, and then email me your finished quilt!!!! 2 weeks.............that is all I get.......OH MY!!! I better really get busy sewing!!!! Wow I am so excited. I have never won anything before and that jwlly roll is soooo lovely. Now to get back to my machine and get the borders on and the quilt finished. I love your ideas for finishing especially no 2 with the wide sides. Thanks for putting my picture up! How are you going to do yours? I'm loving seeing how everyone is finishing them up and can't wait for the parade. I hope I get mine done it time, hand quilting is so slow! This has been so fun- thanks for hosting it all! If I can get my hands on some more batting, I may even get it quilted before the parade deadline (I guess all this motivation comes from being in taper mode for my first marathon- if I can't run as much, I've got to keep busy somehow!). So Melissa . . . where's your Tetris top? I've usually tried to visit everyone's blogs or flick to comment and am sorry if in so doing I didn't always "visit" your own quilt. Anyway, this has been my first QAL and I have had a great time. It was good for me to get out of the planned approach I usually work by. I'm hoping to be part of the parade next week. You did a very good job hosting. Thank You!!! Finally! I finished the quilt top but I won't make the parade as I have no batting, backing or binding fabric yet . This has been fun and I loved the fabric swap I participated in. What might you mean by evening? I have the top done now but I want to add some details-if I have till later tom I might be able to get them done.